The Libra modern style gloss bedroom furniture collection is manufactured in the UK and delivered fully assembled. It is available in three gloss drawer front finishes (Black, White and Cream) and five carcase colours (Black, White, Cream, Lissa Oak and Tuscany Walnut). 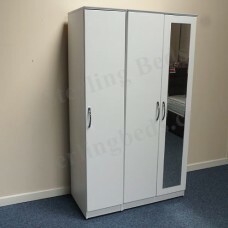 All wardrobes have hanging rails, shelves and mirrors (if required) as well as castors for easy positioning. All chests have metal drawer runners and castors. Order time is about 3 weeks and the quoted prices include free delivery and free old furniture disposal (if required). We have several pieces of Libra bedroom furniture on display in our showroom. The Libra 2 drawer bedside chest is manufactured with metal handles, extra deep drawers, b.. The Libra 3 drawer bedside chest is manufactured with metal handles, extra deep drawers, b.. The Libra 4 drawer narrow chest is manufactured with metal handles, extra deep drawer.. The Libra 3 drawer midi chest is manufactured with metal handles, extra deep drawers, bott.. The Libra 5 drawer narrow chest is manufactured with metal handles, extra deep drawer.. 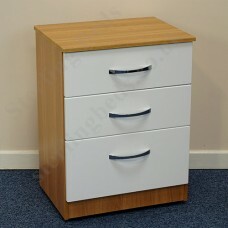 The Libra 4 drawer midi chest is manufactured with metal handles, extra deep drawers, bott.. The Libra 3 drawer wide chest is manufactured with metal handles, extra deep drawers, bott.. The Libra 3 drawer deep chest is manufactured with metal handles, extra deep drawers, bott.. The Libra 5 drawer midi chest is manufactured with metal handles, extra deep drawers, bott.. The Libra 4 drawer wide chest is manufactured with metal handles, extra deep drawers, bott.. The Libra 5 drawer wide chest is manufactured with metal handles, extra deep drawers, bott.. The Libra 2 door wardrobe is available in a choice of three gloss drawer front finish.. 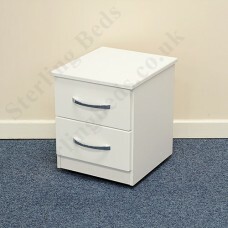 The Libra 6 drawer twin chest is manufactured with metal handles, extra deep drawers, bott.. The Libra 3 drawer single pedestal dressing table set (dressing table, mirror and stool) is man.. The Libra 2 door 2 drawer (Gents) wardrobe is available in a choice of three gloss dr.. 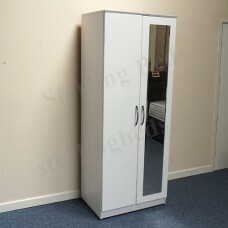 The Libra 2 door mirror wardrobe is available in a choice of three gloss drawer front.. 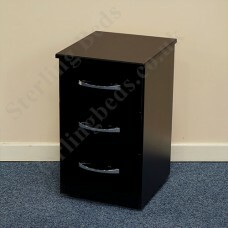 The Libra 8 drawer twin chest is manufactured with metal handles, extra deep drawers, bott.. The Libra 6 drawer double pedestal dressing table set (dressing table, mirror and stool) is man.. The Libra 3 door tall wardrobe is available in a choice of three gloss drawer front f..